A questionable rumor has surfaced today suggesting Apple could unveil a new iPhone SE next month, but it might just be more noise in iPhone silly season. The rumor comes from French-language blog iGeneration, which cited an unnamed source claiming Apple will hold a product event in late August to introduce an updated version of the 4-inch smartphone. Mickaël Bazoge, the author of the article, told MacRumors that he received the info from a "new source" with an unproven track record. He expressed some skepticism, but added that the source "seems reliable." The timeline is immediately questionable given Apple has never introduced any new iPhone model in August. Beyond the current iPhone SE and iPhone 4s in March 2016 and October 2011 respectively, Apple has officially debuted all other iPhone models at events in June or September each year. Moreover, given the current iPhone SE essentially has iPhone 6s tech specs, the next model's tech specs would likely be closer to the iPhone 7. And if that happens in August, then the new iPhone SE would be nearly as powerful as the iPhone 7 with a much cheaper price tag, potentially cannibalizing Apple's sales. There have also been few if any rumors about a new iPhone SE. Back in November 2016, KGI Securities analyst Ming-Chi Kuo said it was unlikely that Apple would release a new iPhone SE in the first half of this year. That claim proved to be accurate, but Kuo hasn't outlined any new predictions since then. 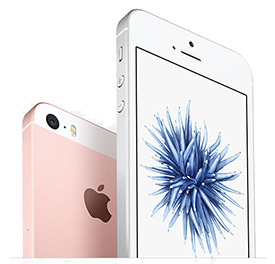 When introducing the iPhone SE, Apple acknowledged that some people simply love smaller phones, and revealed that it sold 30 million 4-inch iPhones in 2015. The device looks like an iPhone 5s, but it has newer tech specs, including a twice-as-fast A9 chip and a 12-megapixel rear-facing camera. iPhone SE remains Apple's cheapest smartphone, starting at $399 in the United States. Today's rumor claims the next-generation model could start at €399 in Europe, down from €489 currently. The rumor also says Apple will hold a second event in October to introduce the supposedly delayed "iPhone 8." Apple doubled the current iPhone SE's storage capacities to 32GB and 128GB, up from 16GB and 64GB, in March. I LOVE the SE form factor. If they simply update the internals, I would continue to buy this phone for the next decade. Best iPhone rumor so far. I love my SE far more than than any other iPhone. Will buy this update without any question if it comes with same dimensions. An iPhone SE with 4~4.5 inch screen in a design similar to iPhone 8 (ie, no useless bezels on top and bottom) will be the ultimate dream come true!! Ofcourse, I wont be holding my breath for that though. SE has been extremely popular. Would take this rumor to the bank. If the 8 is as constrained as it seems they will need something to sell. Spec bumping the SE is very low hanging fruit. I love my iPhone SE too! It would be nice to see a refresh or possibly a redesign this year. Who says Apple would have an event for updated SE? Just announce it's available for sale. I'm happy with my original SE. I sometimes think I'd like to see water resistance, but that would probably add bulk and cost which would change what the SE is all about. I think adding more storage was a nice upgrade already. They certainly did a smart thing making the SE. They should keep it going because the people who want big phones will not be pulled away. The SE gives people who want or need small phones and more affordable phones a viable option. I friggin' love my SE. Just saying.